But what makes for good conversations and why do you need to change? There’s an urgent need for great conversations in today’s organisations. Businesses need to move away from command and control leadership, so they can begin to ask the right questions. 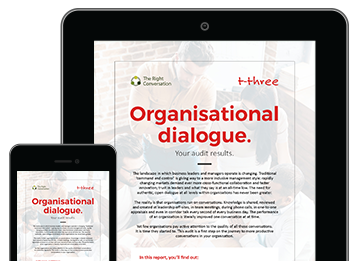 Take the Organisational Dialogue audit and discover the current strength of your conversations and how they can be transformed. Understand how effective your organisation’s conversations are. Get quick top tips for conversation improvement. Download a report that benchmarks your organisation with clear takeaways. This audit will help you to benchmark your organisation, assess the conversations that are taking place and identify areas for improvement between leaders and their teams. Transform your conversations. Complete the Organisational Dialogue Audit. Dik, founder of The Right Conversation, has expertise in improving the quality of conversations inside organisations. 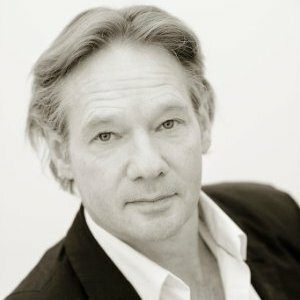 He has 20+ years experience working at senior executive levels and has advised business leaders on all aspects of organisational dialogue in many different sectors and geographies. His clients include organisations such as the BBC, Bank of England, Toyota GB, Virgin Trains, The Prime Minister’s Office in Dubai, Ernst & Young, Experian, Thales, British Telecom, National Express, National Bank of Saudi Arabia and Old Mutual. Much of Dik’s recent work has focused on researching the enablers and barriers to better dialogue in the workplace and he frequently writes and speaks on all aspects of dialogue in the modern business world.